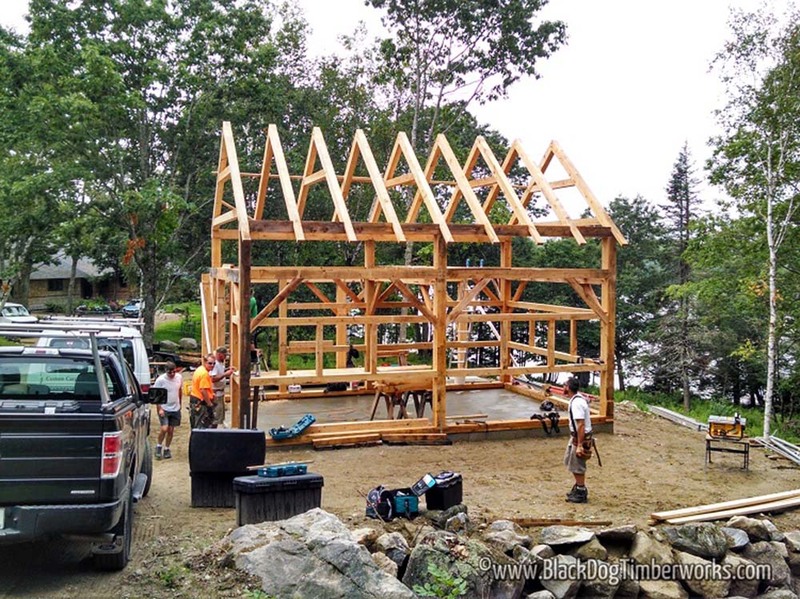 If you are looking for the best barn home for your farm, Black Dog Timberworks might just have the perfect structure for you. 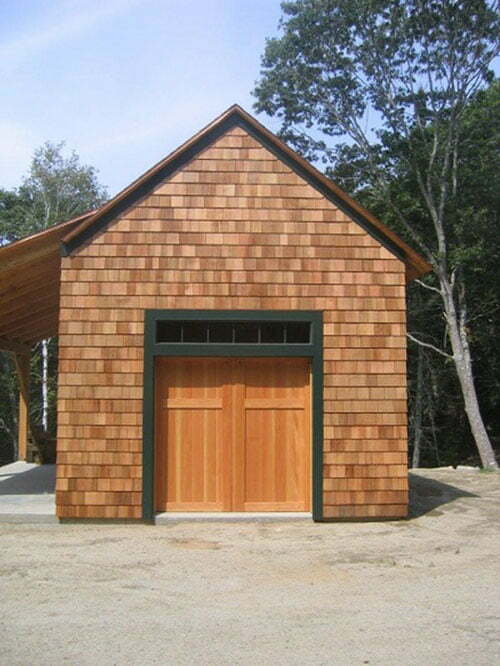 This incredible timber barn is made from the top-quality wood material in the country. 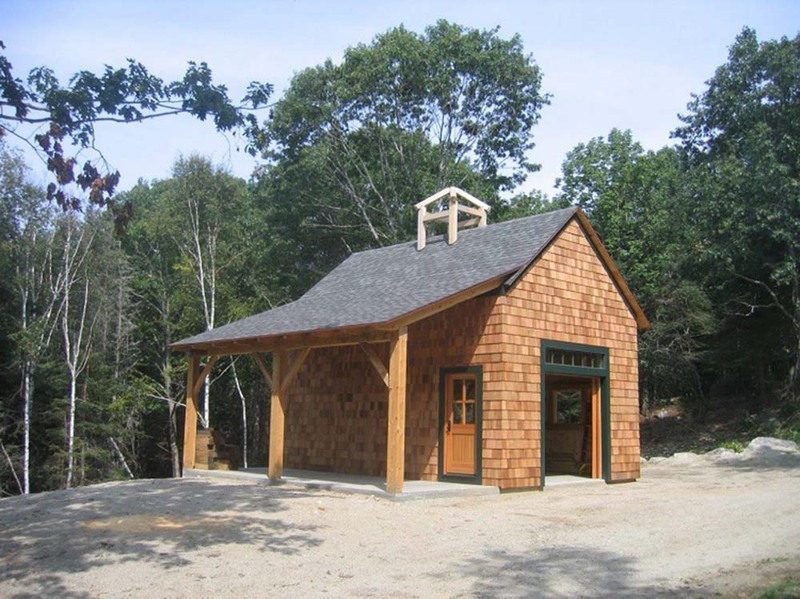 The frame of this barn home is an all-wood structure. The house comes with a simple yet timeless structure. It has two doors, one located in front while the other one is on the side. This barn home can fit at least two horses. 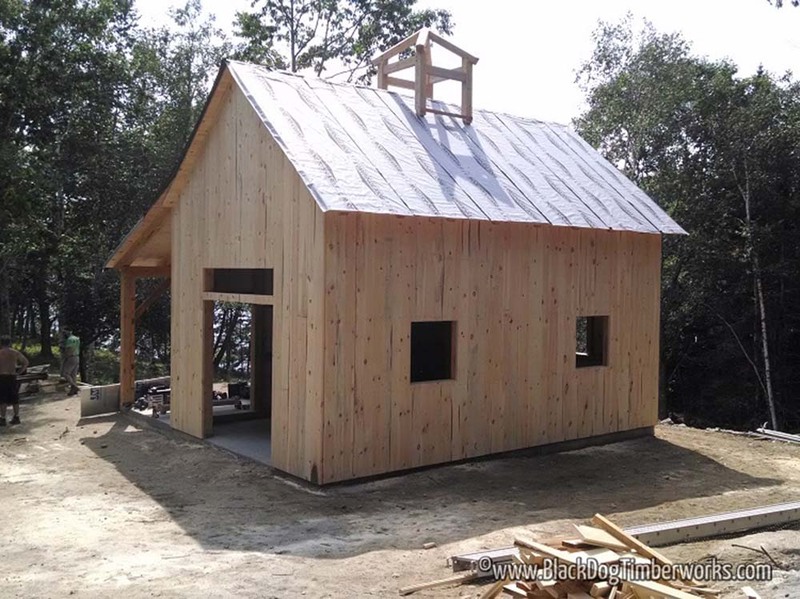 You can also put a chicken coop inside your small barn. In addition, it can also be a perfect shed for your gardening tools and a storage area for the things that you rarely use. 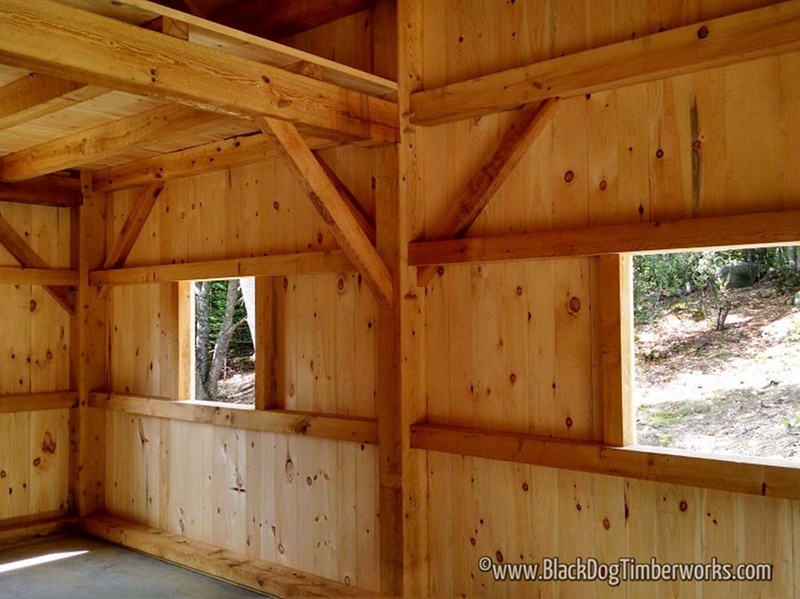 Instead of nails, Black Dog Timberworks used wooden pegs to complete the structure. The pegs were thick and made from the same wood material. The windows are made from wood and are bare from glass covers. You have the option to leave it as is or install glass or railings to close them up. The house has a high ceiling, allowing you to store tools like ladders inside. You can stow away hay and other farming stuff as well. The house is then covered in brick stones to make the barn house look sturdier than it already is! 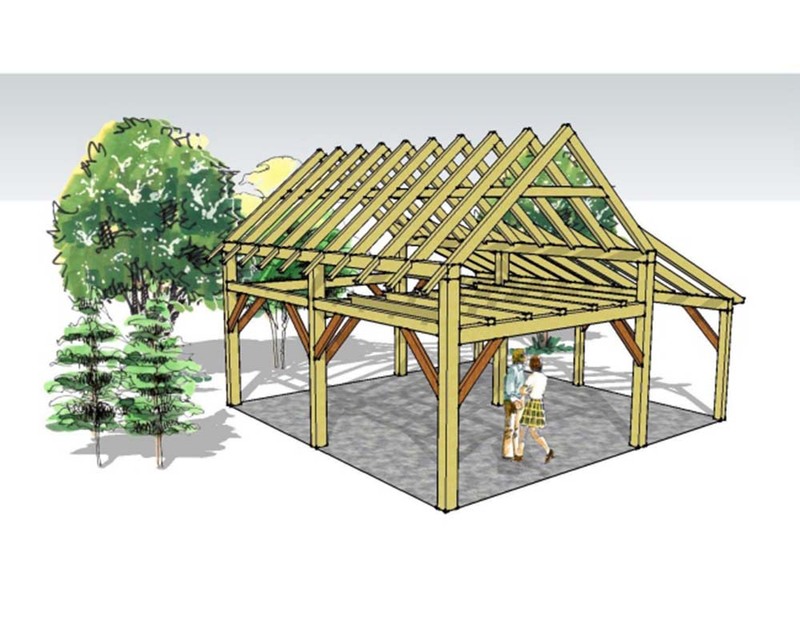 If you have chickens and other animals like horses and cows, this barn frame can be really useful. 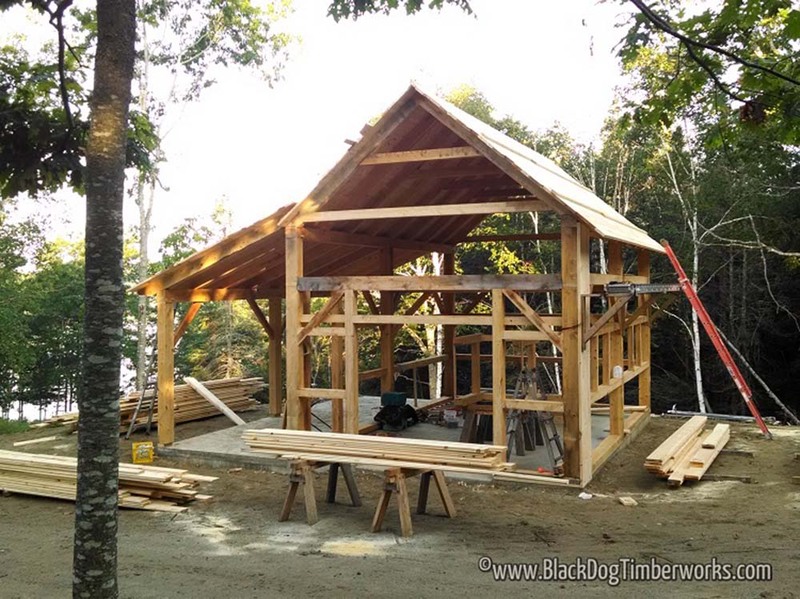 Black Dog Timberworks not only gives the best wood material, but they also build one of the most economical timber barn there is. If you wish to work with them, do not hesitate to give them a call. Stats: 3′ Knee-Wall and 1/2 Joisted Loft. 792 sq. 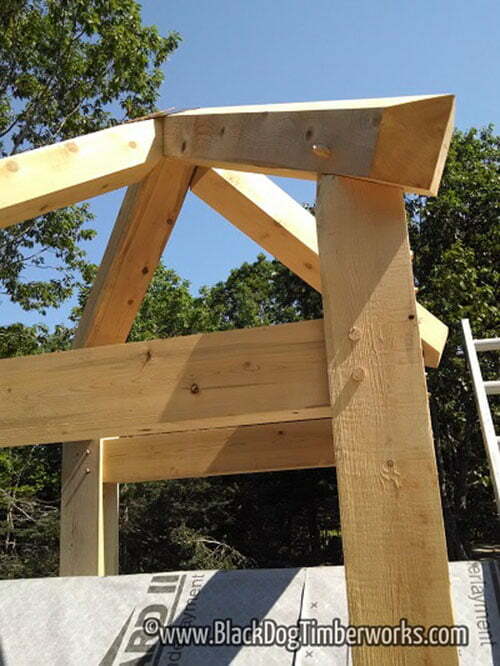 ft. 9′ shed roof off to one side. 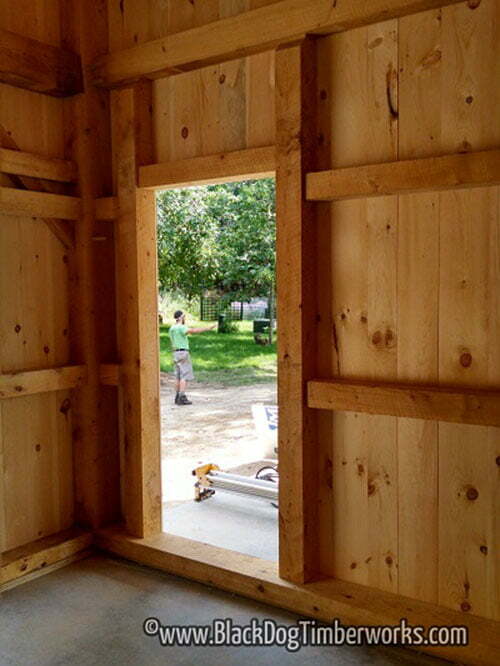 At a glance, this is the half-done facade of the barn house. At this side, you can see the double door for the animals.